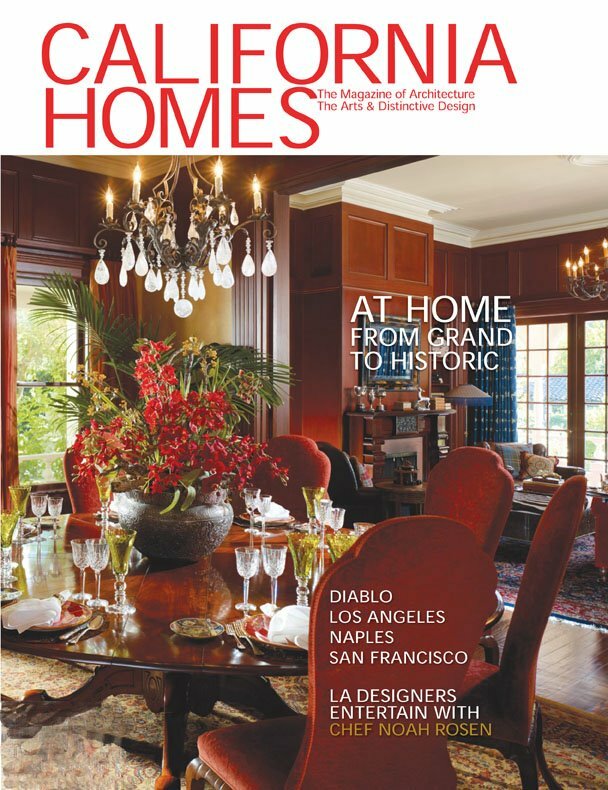 December 2008 - check out this month's California Homes magazine, whose cover story puts the spotlight our favorite new San Francisco designer, Claudia Juestel of Adeeni Design. The cover article features a historically significant Victorian country house in Diablo, California, to which I have previously contributed a fair amount of work, including restoring and recreating the faux bois for the baseboards and doors in the main parlors and entry, the entry floor, and the ornamental overdoor panels in the living room. 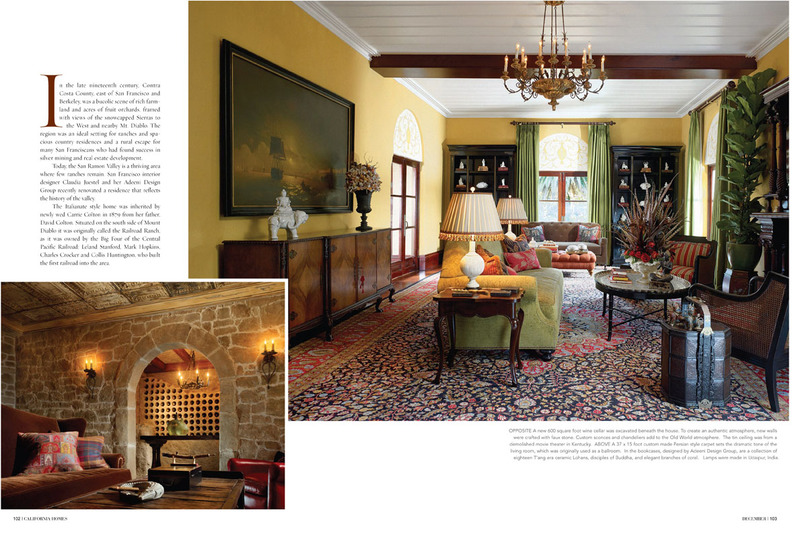 Above: The panels over the windows and doors in the Living Room were painted by Lynne Rutter. Artistic License associate Brian Kovac created a weathered wood finish for the beams in the newly built wine cellar. I am so happy to see this work used in Claudia's fresh design, which is an eclectic, worldly mix, and celebration of the Victorian house's original features. 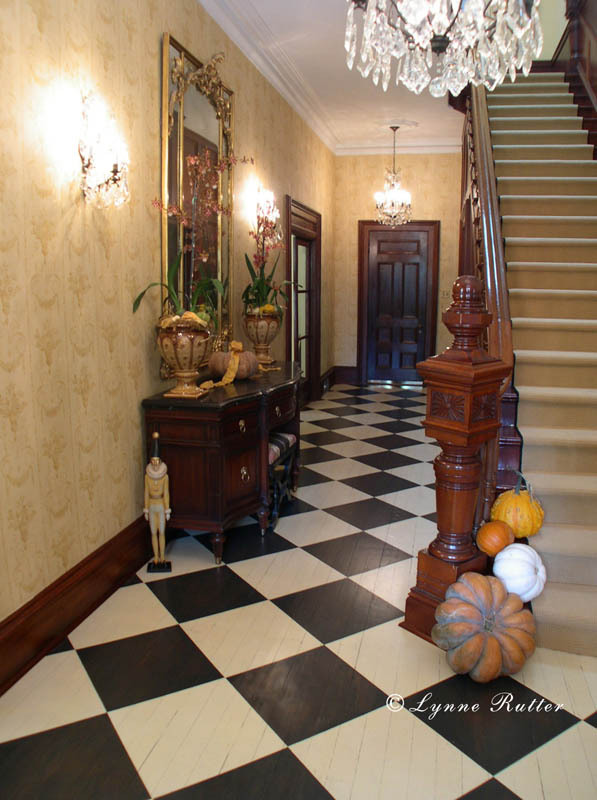 <-- The entry with its painted checkerboard floor and restored faux bois baseboards and casings. 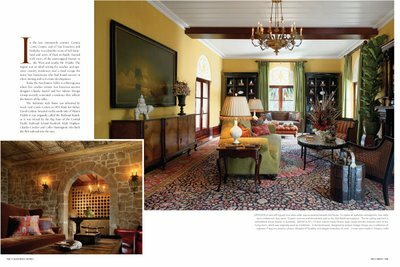 really live in a period home, with all its "dark" wood and traditional proportions, and still have a joyful, current interior. Lynne, this is the way I like to see homes decorated. It's so organic yet elegant, you almost forget that a talented designer (and decorative artists) worked hard to make it look so great. It takes a lot of sensitivity and taste to create this ambiance.